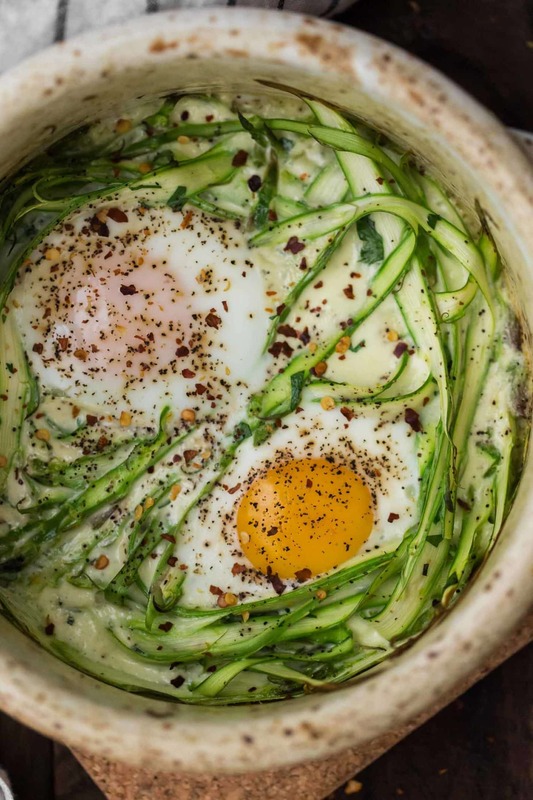 Cream Baked Eggs with Asparagus | Naturally. There is nothing more I dislike buying at the store than herbs. They are usually expensive for you get, can go bad quickly, and lose flavor fast. This has led to a push over the years to grow my own. We don’t have a backyard but the patio is covered with plants, mostly herbs. It’s such a wonderful feeling to always have what I need, fresh and ready to use. I’ve added different herbs over the years but this year I added a few I feel I don’t use enough. Lovage, marjoram, purple sage, and tarragon have joined the garden, which means it’s time to start featuring different herbs. 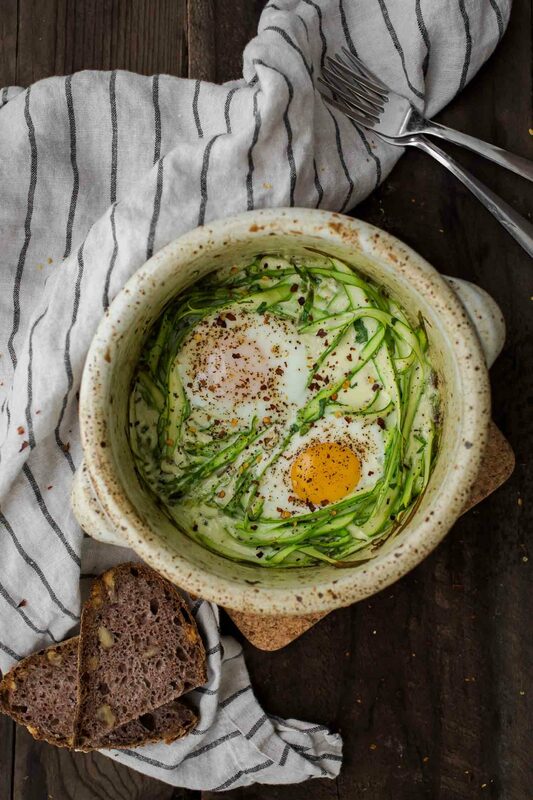 These cream baked eggs feature a hint of tarragon that balances nicely with the earthy spring asparagus flavor. Best of all, this dish is ready in about 20 to 25 minutes. 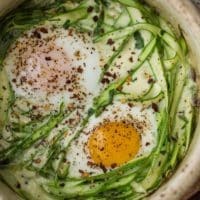 An easy breakfast or dinner, cream baked eggs help lightly cook fresh shaved asparagus making this a quick meal. Heat oven to 400˚F with a rack in the middle of the oven. 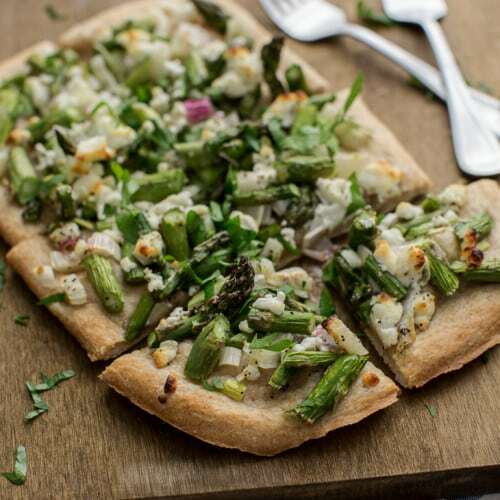 Place the shaved asparagus in a small baking dish, roughly 6” to 8” wide. Place the cream in a bowl along with the parsley, tarragon, mustard, salt, and pepper. Whisk lightly to combine then pour half of the cream mixture over the asparagus. Stir/toss the asparagus until coated with the cream. 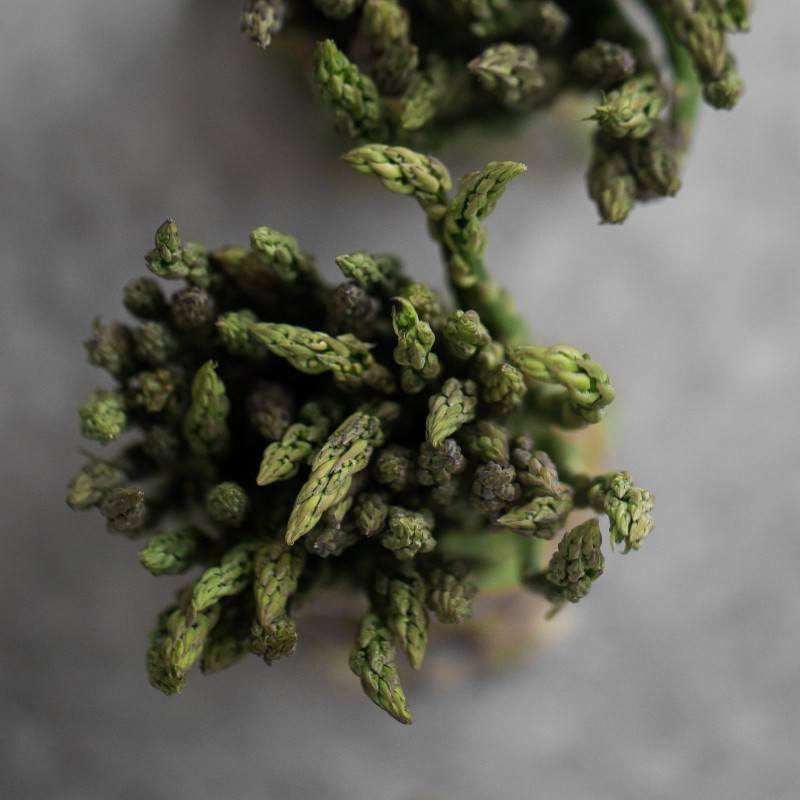 Make two wells in the asparagus and carefully crack an egg in each. Spoon the remaining cream mixture over the egg whites. Place the dish in the oven and bake for 10 to 14 minutes, until the egg whites are set and the yolk is to your liking. Serve with an extra sprinkle of herbs and chili flakes, if desired. Tips & Tricks: Check out the video on how I shave asparagus. I’ve also been known to use a rolling pin to support the asparagus as well. Herbs: Use only parsley or add chives, thyme, or dill to the mix. Summer Variation: Instead of shaved asparagus, use zucchini noodles or halved cherry tomatoes. 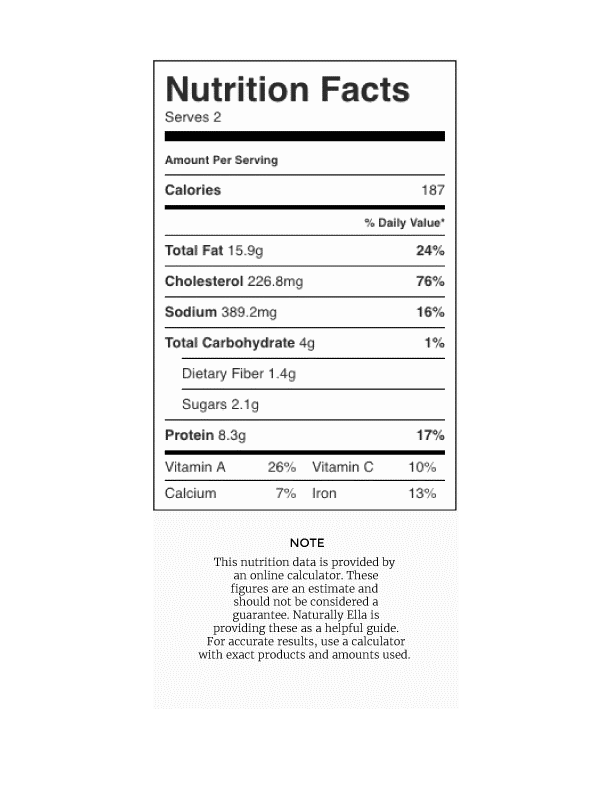 Grains: I like to serve this along side a scoop of chewy grains like barley or sorghum. This helps balance the richness of the eggs and cream. Chili Oil: Instead of chili flakes, drizzle homemade chili oil over the eggs before serving. What kind of cream are you referring to? Is it the sweet or the sour kind? Heavy cream- not sour cream.